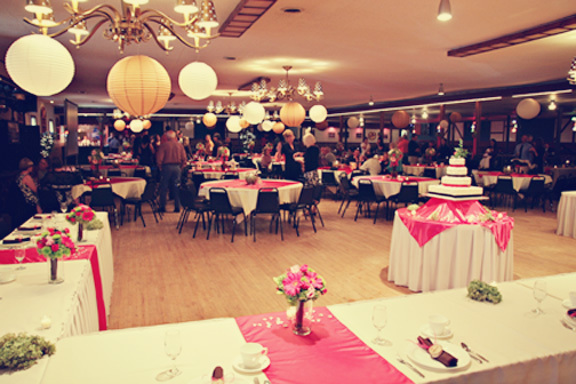 We have been the premier venue for celebrations in the Little Falls area for over 60 years. Whether you have 50 guests or 600 guests, we offer an intimate and full-service experience. We pride ourselves on the personal attention we offer for the planning of this special day, but that’s not the only reason you’ll want to have your event here. Our menus are packed with an impressive set of options to choose from, so you’ll have no problem finding the perfect food for your event. The hardest part will be choosing your favorites!. We have the largest wooden dance floor in the area to accommodate your wedding dance. NEW in 2019… full service bar now available. Keg beer, wine, mixed drinks, we have it all. Signature cocktails, we can do that too! Do you want to book a wedding or anniversary? Check our calendar, it’s updated regularly or give us a call at 320-632-9992 to book your date or email us at info@fallsballroom.com.